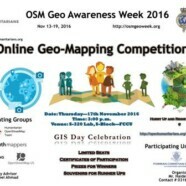 Dean Geographical Society in collaboration with OSM Geo Awareness Week 2016 bring to you an amazing competition called ‘Online Geo –Mapping Competition’. 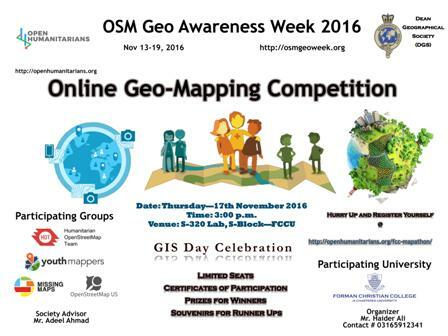 The competition will be held on Thursday 17 November 2016 from 03:00 pm to 05:00 pm is S-320, Armacost Building. Win exciting Prizes, Shields and Certificates through this competition. Don’t miss this chance as limited seats are available.